Since 1865, Cargill Incorporated has been one of the leaders in food, health, financial risk management, electricity and gas, crops and livestock. The Minneapolis-based corporation is a privately held global company with a worldwide portfolio. We’re investing in scalable solutions that make a real difference for people and communities. The private sector can be a catalyst for lasting change by jumpstarting innovation and economic development. A $40 million in investment in research and development is yielding big results. In the 2017 annual report, the company highlighted their recent successes and forward-looking opportunities. The Minneapolis-based company made particular note of their training programs for farmers and their partnerships for sustainable agriculture. R.&D. facilities were also highlighted in the annual report. Cargill opened a 22,000 square foot branch in Shanghai, China called Cargill ONE Innovation Center. 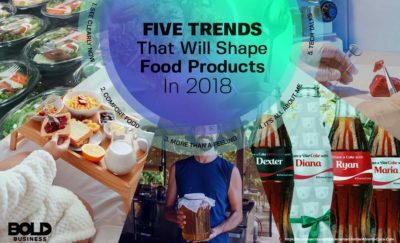 The center focuses on the company’s proficiency in refined oils, animal protein, cocoa, starches, sweeteners, and texture solutions. Colaco, Chile, is also a location for Cargill’s R.&D. center. The Cargill Innovation Location in Chile is developed in order to improve the health and well-being of salmon. With 30 scientists, the center will create tools to fight SRS and Caligidosis, two health challenges in salmon. The Minneapolis Research and Development Center which is worth $25 million is located in Plymouth, Minnesota, United States. 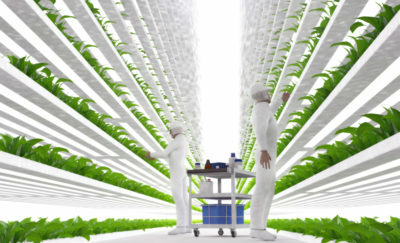 The center focuses on improving food safety and creating new food ingredients. Cargill has reached many farmers with the creation of different training programs such as Cargill AgHorizons, Cargill Specialty Canola Program, and the Sustainable Cocoa Program. 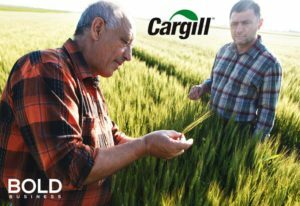 Over the years, Cargill has developed strong relationships with business partners which allow them to be more effective in the many fields they do business with. Calysta Energy – The Menlo Park, California-based company creates new technologies for sustainable biological feedstock. David McElroy and Josh Silverman discovered the company, which is a spinoff of DNA2.0. The company developed FeedKind, fish food produced from naturally occurring microbes discovered in soils around the globe. World Resources Institute – Create The Global Forest Watch, a forest monitoring application designed to inform people everywhere on how to better save and protect forests. With Dr. Andrew Steer as the President and CEO, the non-governmental global research organization wants to encourage prosperity and equity through sustainable natural resource management. The 2017 annual report has also mentioned company partners that benefit farmers, educators, school children, and communities. Feeding America – The United States-based company is a nonprofit organization that has a nationwide network of more than 200 food banks. Feeding America helps feed people through soup kitchens, shelters, and food pantries. Diana Aviv is the CEO of the company. World Food Program USA – Formerly known as the Friends of WFP, the organization do its best in order to aid global hunger and create a place where everyone is equal. Each year, it gives food assistance in 75 countries. Richard Leach is the CEO of World Food Program USA. CARE – Launched in 1945, the company is an international humanitarian agency that provides development projects and emergency relief. It’s CEO, Michelle Nunn has been living the company’s mission of saving lives, defeating poverty, and achieving social justice. Other key partners of Cargill Corporation are Heifer International, The Nature Conservancy, and Second Harvest Heartland.